CUSTOM CAKES, CUPCAKES & CAKEPOPS! 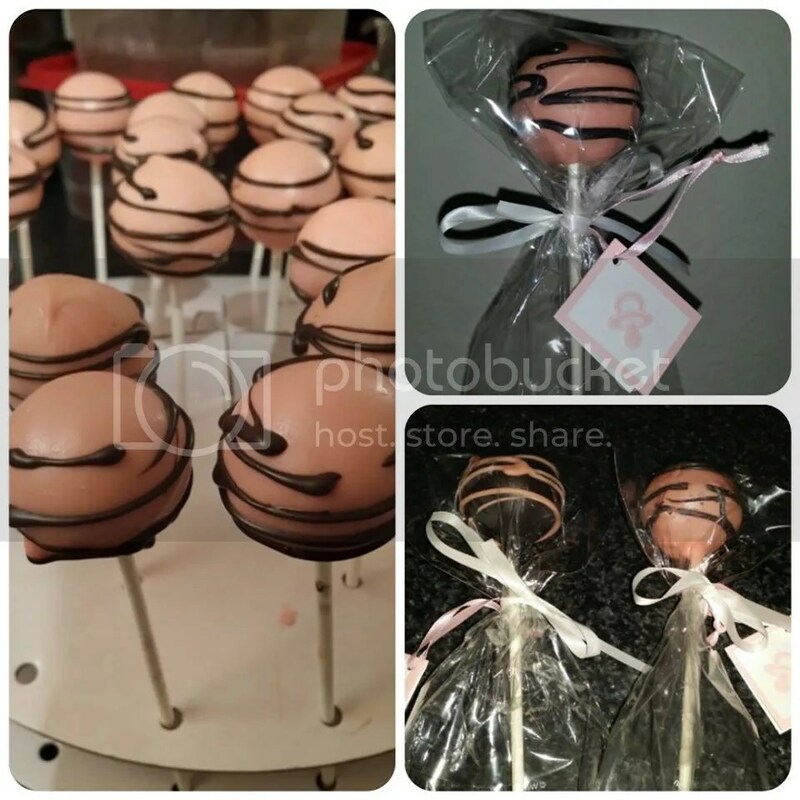 Just last weekend I had the project of 8 dozen cake pops! That was a big but fun task. Complete with clear wraps, ribbons and tags with the baby’s name (tags provided by client). 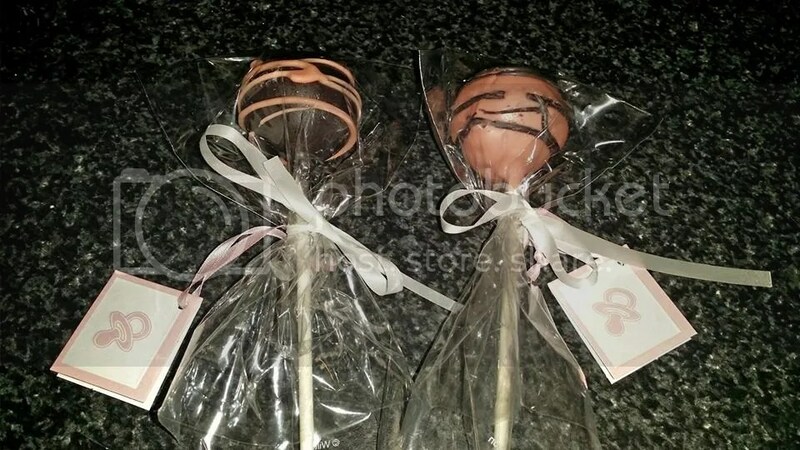 The pink ones with black swirls are chocolate and the black with pink swirls are vanilla.